I know the pain of waking up with a face that looks like the Mother Nature tree from Pocahontas all too well, so the thought of a radiance-boosting cocktail was music to my ears - colours of the wind, to be more specific. My first thoughts when using Soap & Glory's Radiance Boosting Cocktail were, 'wow, a pump formula that doesn't take 187381871 hours to actually come out of its vessel' because we all know how much clicking and shaking we normally have to do with these products. If I were to pick a desert island product, it would have to be an illuminating moisturiser or radiant serum, so already this cocktail of pearly bright, vitamin-C infused goodness was well in my good books. I don't have overly dry skin but I really enjoy my skincare ritual and slapping something cool and revitalising on my boat race first thing in the morning is basically my cardio. The texture is light, silky and cooling on the skin - the perfect combination for those early-morning starts when I don't have time to sit there with a soothing teaspoon on my puffy peepers. Ain't nobody got time for that. As far as the pearlescent particles go, it's not going to rival your favourite highlighter anytime soon, but it's definitely a contender for hydrating and boosting your skin with goodness. Now all I need is a Pimms-shaped pitcher of the stuff. Being exposed to London pollution 7 days a week, it's easy for my skin to start looking dull and and stressed out when I take my finger off the skincare radar for too long. A few too many late nights and it shows. When I'm tired, my face says it all. Soap & Glory's new Bright & Pearly Radiance Boosting Cocktail has not only a tongue-twister of a name but an ingredients list set to give dull skin the ultimate glow. It contains Vitamin ACE, (or vitamins A, C and E to you and I), botanical extracts, pomegranate and 'bursting luminospheres' which all promise to contribute to instantly revitalised skin. My first thoughts when I used this were something along the lines of 'OMG THIS SMELLS SO GOOD!'. That'll be the pink grapefruit and mint oils apparently. Though if you're more on my wavelength you'll just be thinking it smells like a really good fancy cocktail. The 'luminospheres' (I'm guessing 'little pearly balls' didn't get given the go ahead) in the clear serum disperse creating an illuminous glow when applied to your face. I used it before my makeup but it can be mixed with moisturiser or with your makeup if you prefer. This is perfect for days when I'm wearing minimal makeup and just need to give my skin a bit of a boost but if you're in to a heavy foundation base then you might like an additional highlighter on top. Gurl, just mention the word cocktail and I am instantly on board. Whisper it and I'll still hear you. Shout it from 40 miles away and I will still. Hear you. That's how in love and committed I am to espresso martinis and the like. Unfortunately, we're not talking about alcoholic cocktails right now, my one true passion. But fortunately, we are talking about a skin radiance concoction that's going to make you look halfway normal after you have drunk all the cocktails in the world. This serum contains grapefruit and mint which are perfect for waking you up and probably the best smells for your nostrils when you feel like throwing up. It also contains "Luminospheres" which are trademarked with a ™ so must be fairly important and integral to the brightening process. We don't know what they do, but we trust them to do their job and do it well. Now, I'm not saying you have to use this when you're hungover, I'm just saying it helps. It's great on a normal day, but excellent the morning after a few too many. Just slap it on - literally slap it, it'll keep you awake - and your face will instantly feel and look better. Trust me. If you're not hungover just apply it the normal way, and thank your lucky stars that you have the sense to go home after a sensible amount of drinks. Soap & Glory is a firm favourite of mine, having rescued me (and my parents) from many a teenage tantrum at Christmas time when they thought it was totally acceptable to shower my younger siblings with gifts and hand me an envelope of cash i.e. the first realisation I was 'growing up'. While I've used their pretty packaged shower and body products (Clean On Me and Flake Away are go-tos), I've never ventured into the realm of their skincare range. There is no right or wrong (aside from the obvious) when it comes to skincare routines - everyone's different so this aspect of our lives should be, too. I'm a girl who prides herself on efficiency (read: I'm lazy af) so I'm reluctant to stretch my twice-daily skincare rituals to beyond three steps but when a cocktail promising the opposite of a hangover was handed to me, I was willing to try. Soap & Glory's Bright & Pearly Radiance Boosting Cocktail looks as pretty as it sounds - the clear bottle is filled with a clear liquid and what look like highlighter pearls. The product is designed to be used under you moisturiser, as a 'pick me up' or mixed with makeup for a glowy look. I chose to use it under my moisturiser - adding a whole 30 seconds to my skincare routine - and while it soothed the skin, making it as baby soft as my 27 years will allow, I struggled to see the difference between this and my go-to moisturiser. I have been convinced to mix it with my matte AF foundation to see if it makes a visible difference to my complexion but until I can be bothered, it will sit pretty on my bathroom shelf. Forget ‘nice outfit’ or ‘your hair looks voluminous’ because the only compliment we ever really want to hear is 'your highlighter looks popping', am I right? Especially as it traditionally takes time, effort and a host of different products just to perfect that 'natural' just been kissed-by-the-sun glow. Well it used to, before I discovered Soap & Glory's Radiance Boosting Radiance Cocktail. Yep, bright, glowing skin, free of any signs of dullness or fatigue is still the beauty look of the moment - and this product helped me achieve exactly that. I will admit that it takes a couple of tries to get the amount just right as at first I used too much, then I used too little and there was no sign of any difference. After all my attempts, the best application technique I found was to rub a bit on the back of my hand, mix it with foundation and build it up that way. 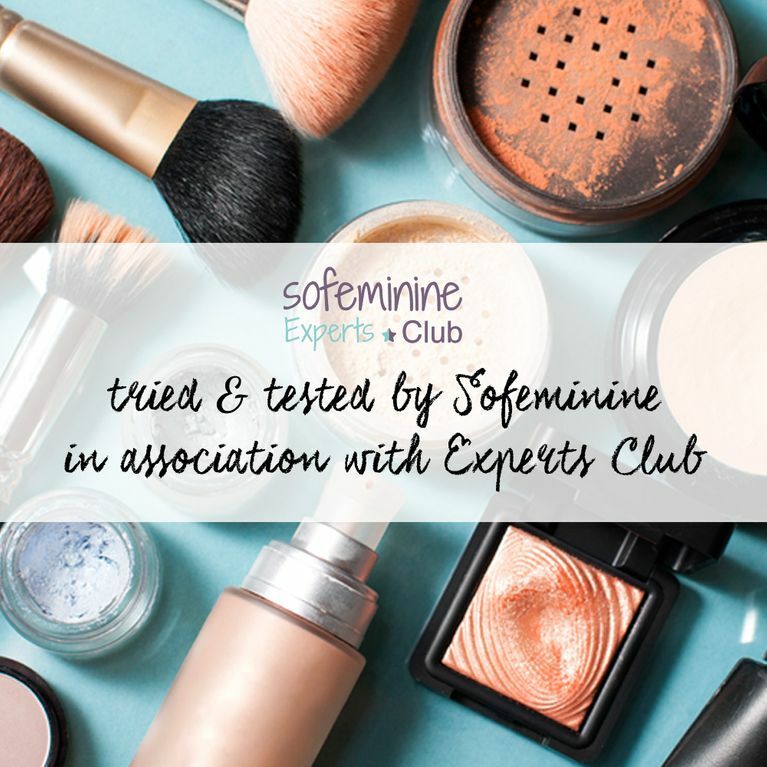 It can be used alone, under your moisturiser or mixed with make-up and for the purpose of this review I tried all three and definitely found the third option worked best for me for a glowing, dewy effect. Normally cocktails conjure up memories of summer and hangovers with a splash of regret, but Soap & Glory's is completely beer-fear free, promise. We will be giving away 50 Bright & Pearly Radiance Boosting Cocktails to be tested this week on Experts Club!